The Twilight Zone is coming back to the small screen in a big way, with Get Out director Jordan Peele serving as curator, producer and host of this revived classic. Today, CBS All-Access has released a new video for the rebooted anthology, which announces a start of production for the upcoming streaming series. 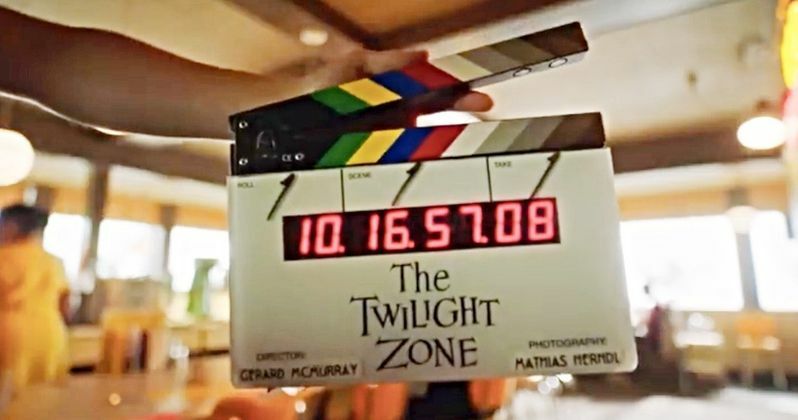 The all-too familiar Twilight Zone theme music creeps up to transport us into another dimension, as shooting begins on the first episode. Jordan Peele is going to reimagine the original series for a new audience, turning the audacious original series from Rod Serling into something for this generation, while holding onto what has come before it. The series will retain its mystery, horror and dark tone, also bringing in some humor and high stakes. The show actually began shooting its first scenes on October 1, with work kicking off in Vancouver, British Columbia. The new show is just getting started as the original celebrates 59 years since its debut on October 2nd, 1959. This is definitely a good way to get things up and running. The announcement video, which reveals shooting is underway, kicks off with a supercut of iconic images from the original show. These black and white scenes will be instantly recognizable to anyone who holds an affinity for The Twilight Zone and all the iterations that have come in its wake. It remains haunting and intriguing, and it's good to know that Jordan Peele and his team are interested in evoking the same spirit from all those years ago, bringing in the social commentary that is laced throughout each old episode. We're promised a new batch of bizarre stories that will be entertaining, more than anything, at their core. The Twilight Zone is a worldwide phenomenon that has stood the test of time, and it's a concept that suits Jordan Peele's sensibilities as a director perfectly, as he sets out to explore the human condition with socially conscious sci-fi and horror stories that are sure to get under your skin and stay there for a minute. Jordan Peele is excited to be hosting and narrating the series, a role which he takes over from the legendary Rod Serling. The original series ran on CBS from 1959 until 1964. And there have been reboots, including a notorious big screen version since, but this new take will get back to classic basics. It is set to premiere in 2019. If you are already a subscriber to CBS All-Access, you can binge all of the original episode on the streaming service right now. The Twilight Zone is produced by CBS Television Studios in association with Peele's Monkeypaw Productions and Simon Kinberg's Genre Films.Take a look at the new video as production gets underway, direct from CBS All-Access.